TURF CUTTERS HAVE disputed a statement by Minister Jimmy Deenihan on turf cutting. They said that the figures released by Minister Deenihan yesterday in relation to the number of people who have ceased to cut turf and/or have taken compensation “are in direct conflict with the information at the disposal of the Turf Cutters and Contractors Association” (TCCA). Minister Deenihan said that incidents of unauthorised turf cutting had declined by 45 per cent so far this year compared with 2012. According to the TCCA, in 2012, 26 of the Special Area of Conservation (SAC) bogs were cut and so far this year, 30 of them have been cut. “By anyone’s maths this constitutes a rise in the amount of turf cutting taking place and not a 45 per cent reduction as stated by the Minister,” said the TCCA. The group also described the compensation payments scheme for turf cutters as a “complete and utter failure”. Out of the 9,000 landowners and turbary rights holders on the 53 bog complexes only slightly more than 900 people have signed up to the final agreement. The turf-cutters said that 90 per cent of those who took up the compensation scheme did not do so willingly, but out of fear their single farm payment would be cut and due to “coercion”. According to the TCCA, the bogs that are said to be solved by relocation in Clara and East Galway “are anything but solved”. The members also wanted to respond to comments made by Minister Deenihan on local radio today in stating that turf cutters on NHA bogs were “probably contacted” in relation to having a ban imposed on them from January 2014. It’s hardly very reassuring when a minister speaks about a massive burden being put on one’s land and then tells the citizen that sure they were ‘probably’ contacted. The turf cutters concluded that the “vast majority” of them “will continue to vindicate their rights”, meaning continue with cutting their bogs. 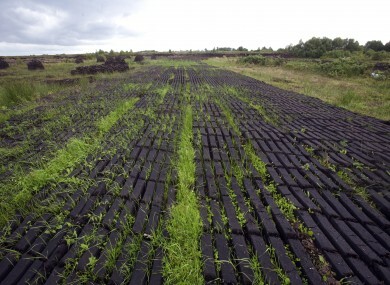 Email “Turf cutters dispute latest Deenihan comments on bogs”. Feedback on “Turf cutters dispute latest Deenihan comments on bogs”.